Competitive, determined, intelligent, driven, caring, passionate, focused, funny, energetic, outgoing, strong, motivated...these are some of the ways people describe Alison in all aspects of her life. Born and raised in Eugene, Oregon, she grew up running through the woods, waterskiing, playing soccer, softball, basketball, and other organized sports. When she was eight, she began running local 5k road races, but it wasn’t until high school that she found her true love and passion in Track and Field. Alison ran the 800 meters in 2:06, and pole-vaulted 12’6 for her high school and on the Junior Olympic level, solidifying herself as one of the top female athletes in her region. Growing up in Track Town USA, Alison dreamed of running track for the University of Oregon and her hometown crowd. Unfortunately, Alison broke her back while pole-vaulting, ending her track and field career in her freshman year in college. It was this event that led Alison to develop her personal training business, and eventually to where she is today as the Founder/Owner of Truve. She began training other athletes, helping them prepare for all levels of competition from middle school to professional athletics, giving them nutritional guidance alongside cardiovascular and strength training. While her passion will always be in athletics, she wanted to touch the lives of more people, so she began training more of the general population (helping people lose/gain weight, rehabilitate from injuries, overcome eating disorders through exercise, ensure healthy pregnancies, combat osteoporosis and other age-related issues, and general health and fitness). Alison believes everyone is an athlete on some level, and she infuses her years of training as an elite athlete into each and every workout. When Alison is not training both athletes and the general population clientele through private sessions, buddy sessions, and body sculpting/boot camp classes in the San Francisco Bay Area, she's busy working to get her 7,000 square-foot training gym up and running. Truve, her new training facility located at 2345 Broadway in Oakland, CA, will be open for business in the summer of 2014. In addition to all of this, Alison volunteers her time weekly at MLK Jr. Elementary School in Richmond, and runs a non-profit she started in the small rural town of Puerto Viejo, Costa Rica; there, Alison provides everything necessary for kids to obtain an education, and trains a group of 35 aspiring young athletes, ages 5-16. For over 25 years, Gee's passion for personal training has been fueled by the gratification he feels from his clients' journeys and successes. Using his personal experience as a martial artist, bodybuilder, and tennis player, Gee has created a balanced and mindful approach as he guides his clients towards making a long-term commitment to their personal athletic endeavors. Gee believes that it is important to challenge his clients athletically through a process of learning, practice and contemplation. Gee uses his extensive experience as a trainer and athlete to empower his clients of all ages and fitness levels so that they can achieve their fitness goals. His ongoing personal journey of deepening his own knowledge informs his instruction of others as he guides them towards living a balanced and healthy lifestyle with an athletic body. Gee enjoys teaching a variety of effective fitness tools that not only challenge the human body, but also the mind. He wants his clients to believe in their “inner athlete” because he believes that this mindset can bring everyone a sense of joy and piece in every aspect of their lives. Gee looks forward to the opportunity to guide you in your journey towards achieving your maximum physical potential. Jessica believes passionately in a holistic approach to fitness, wellness and to life. As a Certified Personal Trainer and Advanced Health Coach with the American Council of Exercise (NCAA accredited), she motivates clients to live a full, functional and healthy lifestyle. 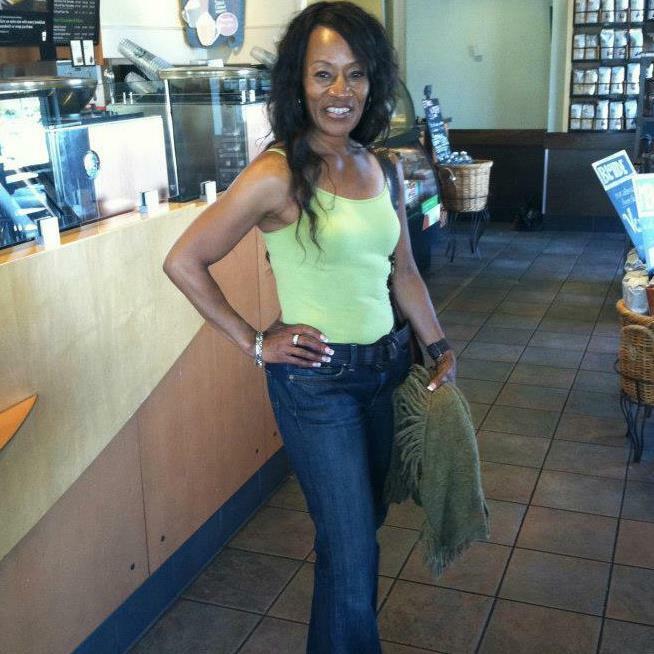 She loves inspiring people of all ages and fitness levels to achieve their health, weight and fitness goals. She is currently working towards a supplemental Weight Management certification to add to her Health Coaching programs. Body conditioning, circuit training, strength endurance and flexibility training, weight loss and toning, partner and group circuit blasts, boxing and kickboxing for cardio and stress reduction, corporate fitness and group exercise classes, cardio workouts, core training, lifestyle and nutrition coaching, and finding fun ways to vary your fitness routine. Doretha, is a native San Franciscan who has been a health and fitness enthusiast most of her life. Mother of three, she always tried to impress upon her children the importance of being physically active by being a role model and keeping them involved in extra curricular athletic activities. Prior to becoming a Personal Trainer, she worked many years in various management roles for AAA, was an Executive Director with Girls Inc., West Contra Costa County and is currently a Physical Education Instructor at Richmond College Prep Charter School. Doretha has always wanted to be involved in the fitness industry due to her love for exercise. She promised herself that she would get certified to instruct fitness classes once she left corporate america and she did just that. Today she is a personal trainer and group weight resistance instructor and absolutely enjoys it. She's passionate about helping others reach their own personal fitness goals. She feels that exercise is empowerment for life. It can keep you healthy, relieve stress, give you energy and make you look and feel good. Doretha is also a volunteer with the California Transplant Donation Network. In July 2013, she donated a kidney to a close family friend. Her personal experience was very positive and rewarding which brought about the decision to get involve with the CTDN to be able to share her story. She feels by doing so, she can help others understand the benefit of transplant and organ donation for both donors and recipients.